Juan Gambina and Andriana Yordanova present an evening of popular arias. Accompanied by Alexei Galea Cavallazzi at the piano, this event at the intimate Temi Zammit Hall , Mediterranean Conference Centre is a family event. 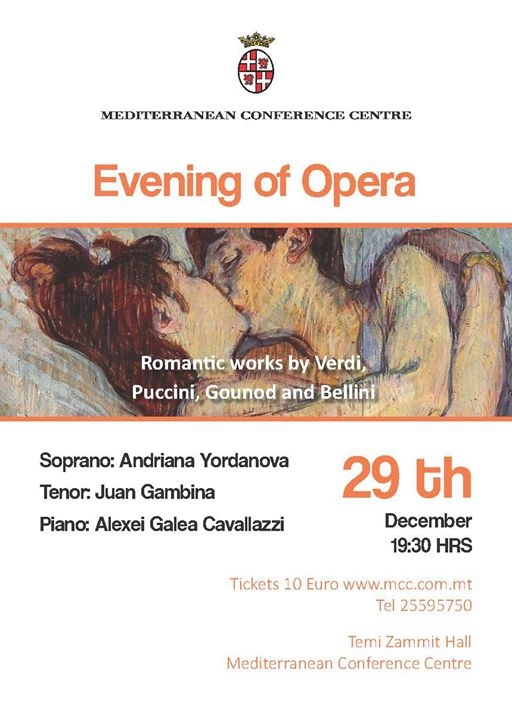 Arias by Bellini, Verdi, Massenet and Puccini shall take the listeners through some of the masterpieces of the repertoire.